Today on The Underground, I'm excited to focus my spotlight in a new direction. I'm all about indie and so I'm excited to welcome KE Blaski, author of the young adult novel Glimmer of Steel and Senior Partner of Slug Pie Stories, LLC. 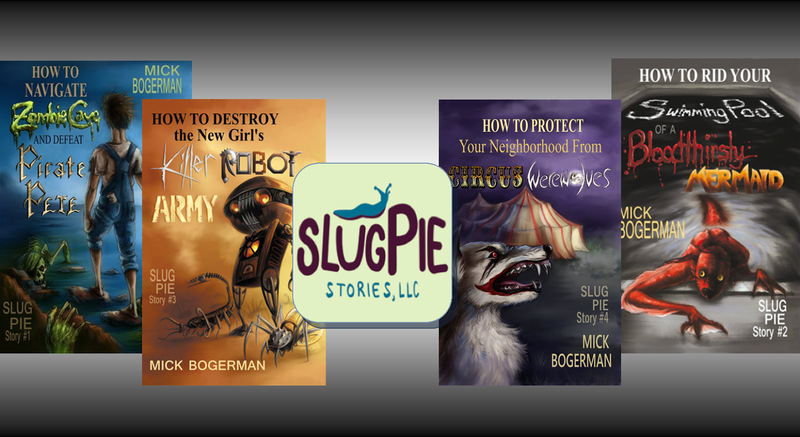 Slug Pie is an indie publisher of middle grade fiction. 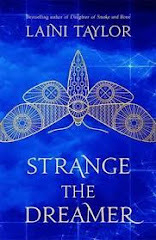 Right now it exclusively publishes an adventure series by Mick Bogerman, but they have plans to expand and mentor other authors. Their mission is "to inspire reluctant elementary and middle school readers, through exciting storytelling, to develop a life-long passion for books." I had the chance to read How To Protect Your Neighbourhood from Circus Werewolves (say that ten times fast), the latest book in the series, and you can find my review for it here. The book was such a fun read that I invited KE Blaski back to the blog to find out more about Slug Pie. I hope you'll all join me in welcoming KE Blaski to the blog. How was Slug Pie Stories born? I like to read what my kids read and my middle school girls are assigned a lot of books to read for school. Every single one of the books they were assigned to read was tear-jerking sad: mom’s losing her battle with cancer, brother gets hit by a car, best friend commits suicide, the dog dies. It got to the point where neither my kids nor I wanted to read them any more. Real life is sad enough already. So I pulled out some of my son’s old Goosebumps books and the girls loved them. There was one problem with them though… every book spent the first couple of chapters introducing you to a new set of characters. That’s when I thought to myself, what if there was a series with kid-level horror and lots of adventure that featured the same set of kids? It could be the Goonies meet Goosebumps. And so, Slug Pie Stories was born. Why did you decide to start up your own imprint? I wanted to publish Slug Pie Stories my way. Call me a control freak, but I wanted to work with editors of my choosing and an artist who could capture what I wanted to see on the covers. I wanted to price the books competitively and I wanted the profits for my efforts. The traditional publishing model requires giving all that up. How did you come to editing? Honestly, I hire out the editing. My expertise is in writing, teaching, and marketing, and I know enough about business to know I need to focus on my core competencies. Handing over the story to a professional editor for new, objective, skilled, and experienced feedback just makes sense, both financially and for the good of the story. Slug Pie Stories go through at least two, often three rounds of professional editing: developmental editing, line editing, and proofreading. What was the hardest part of starting your own imprint? It’s not necessarily difficult to start and run an imprint as it is time-consuming. There are months of prelaunch tasks and then there are the never-ending marketing efforts for the series as well as individual books. Slug Pie Stories, LLC is a family partnership, so I do have help, thank goodness. What has surprised you the most about the journey? The absolute emotional reward when a reader loves a book and says so, either through a review, an email, or in person during an author visit. There is nothing else like it. What do you hope to do differently with Slug Pie Stories? I’ve got a to do list a mile long! Right now, I’m contracting audio book production. The first audiobook was released summer 2016 and I’m looking at a second one summer 2017. Once the series itself hits six books, We'll be releasing a boxed paperback set. I would love to do graphic novel versions of the entire series with illustrator Kat Powell. She is so very talented. You mention an interest in mentoring authors. How does that look to you? I have met wonderful writers on my own publishing journey and some of them are at a crossroads: do they continue pursuing traditional publishing when there are fewer traditional publishers out there than ever before, do they forge their own path as an indie publisher, recreating the wheel and duplicating the mistakes of others, or is there something in between? Perhaps, a consortium of indie authors who share a publishing model. We started a second imprint Mollusc Bay Books that is outside of the Slug Pie Stories world in the hopes of eventually using it with other indie authors to achieve that goal. What made you decide to focus on middle grade fiction? It’s my personal mission! I like to think of 8 to 12 year olds as being in that sweet age where they decide if they are going to read for the rest of their lives or only what they “have to” to get through school. If I can publish books that guide these kids into the first category instead of the second, I’ve done my job. What drew your interest to Mick and his stories? Mick’s stories have all the right stuff: a blend of kid-appropriate horror, adventure, friendship, tense pacing, surprises, and always, a satisfying end. Mick Bogerman is the author and main character of his series. How does that work? How does he write in between fighting off monsters? You’ll have to ask him that one. Apparently he’s good at multi-tasking. You’ve mentioned on your website hoping to publish a few authors you already have a relationship with. What kind of stories are you hoping to publish going forward? Once I streamline my own publishing model, I would love to open Mollusc Bay Books up to the indie middle grade and YA authors I know who share the same philosophy as I do: creating books that engage and help drive a love of reading for life. My mother and I are also suckers for a happy ending. Whatever Mollusc Bay Books publishes has to have one. What kind of reaction have you received from readers? Any stories? Both kids and kids-at-heart are loving Slug Pie Stories. My favorite email came from a ten-year-old boy who after his parents put him to bed, would sneak in to his six-year-old brother’s room to read the series with him under the covers with a flashlight. You know you’ve done it right when kids are willing to risk getting in trouble in order to read.